A fun Santa Claus Hat Snack that everyone will be sure to love! It’s that wonderful time of the year again where we start thinking about all things Santa. What is more fun than creating a festive table full of tasty holiday snacks and treats? This is a tradition in our family that gets the kids eating more than just the sweets. Our table features veggie platters decorated up as Christmas trees, cheese & meat platters shaped as reindeer, fruit platters made to look like Santa’s face, and everything in between, all focused on a beloved Christmas theme, such as the Santa Claus Hat. So in celebration of the season, I thought it would be fun to feature various recipes from my table to yours. I will start with Santa himself with his classic red hat and fluffy white beard. 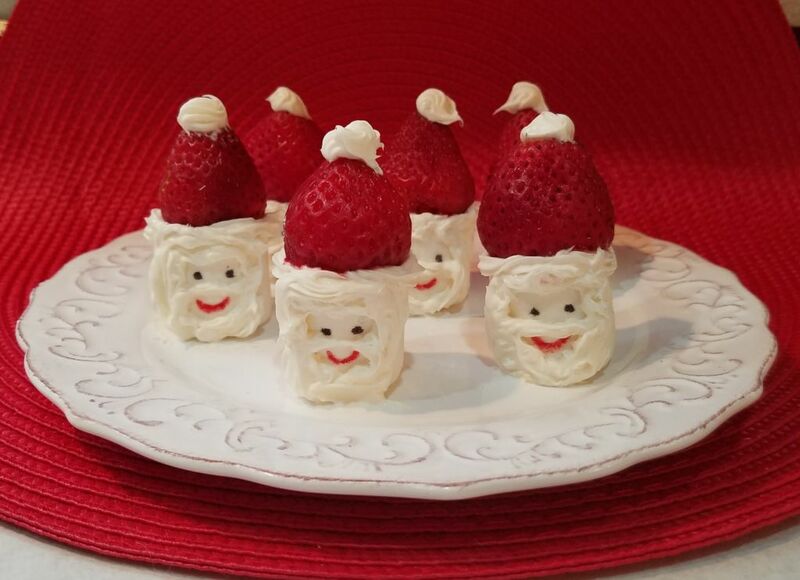 This Santa hat, made with fresh strawberries and marshmallows, is quick, easy treat that will quickly disappear. This is also a great, fun recipe for those kiddos that love to help in the kitchen. Make lots of funny Santa faces and soon you’ll all be having a jolly good laugh. Edible markers – any color! 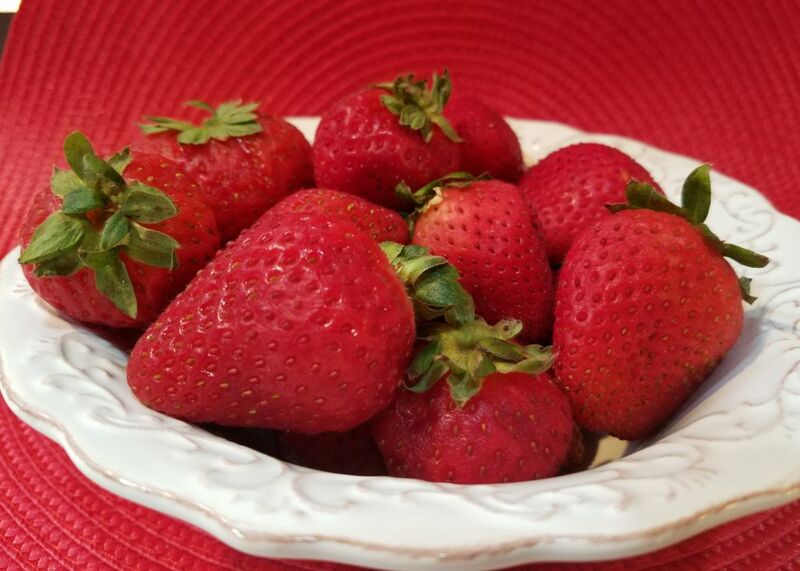 Begin with a nice bowl full of plump, juicy strawberries. Cut off the stems with a horizontal cut. Rinse well and let dry. Now for the fun part. 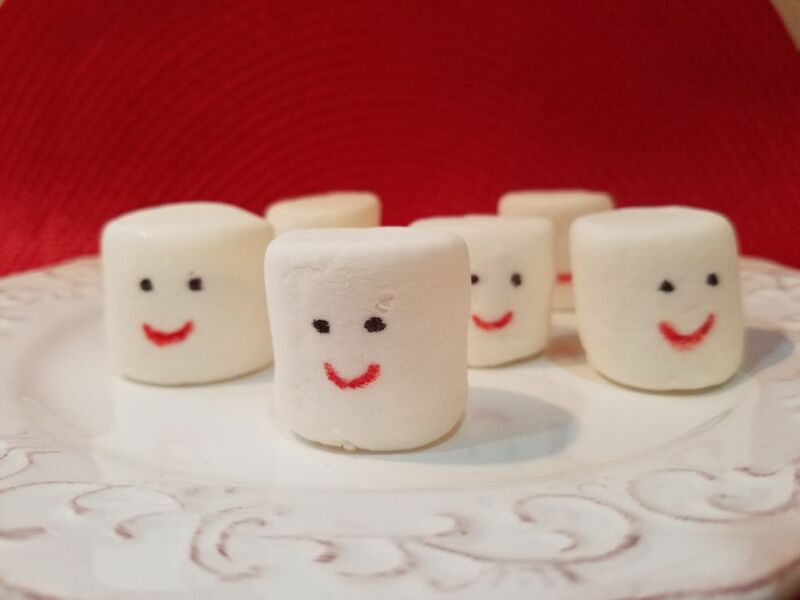 Grab an edible marker and draw Santa’s eyes and mouth on each marshmallow. Be sure to leave enough space between his eyes and mouth for his mustache. Let the kids have fun making different mouth shapes, colored eyes or even eyebrows and a nose! Next comes his beard and hair. 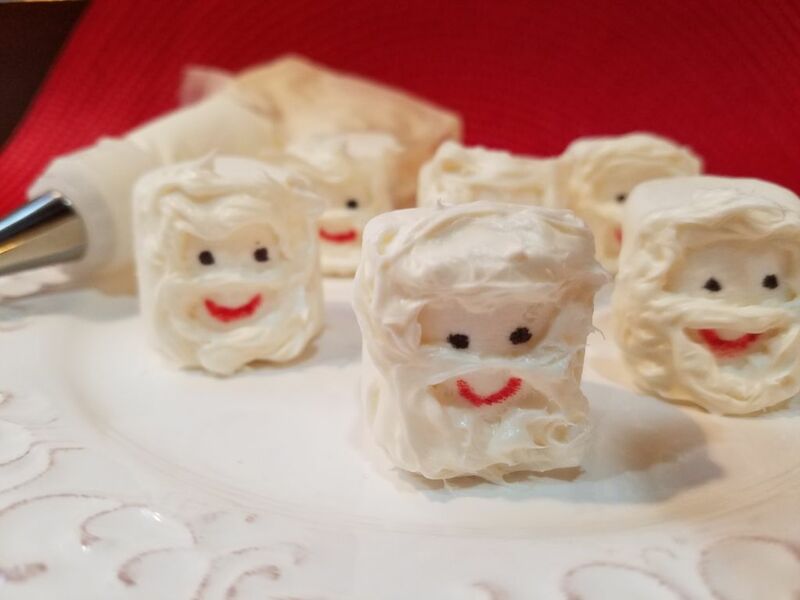 Use a piping bag with a small tip to add frosting to create a fluffy looking beard. Add additional frosting for his hair to hold the strawberry in place and create white trimming for his hat. 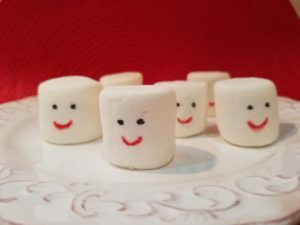 To finish up, place the cut side of the strawberry down on the marshmallow to create the jolly fellow’s hat. Top with a dollop of frosting to to add the pom-pom to his hat. Just like that, this yummy Santa treat is ready. I’ve been making these for a few years not, but one thing I’ve noticed is that if you place the strawberry on top more than an hour before serving, the juice will bleed into the frosting of his hair. It is best to place the strawberry immediately before serving to have a clean, crisp looking treat. Hope you enjoy this fun snack. Check back for more fun recipe ideas! I would love to know how these Santa’s turned out for you! Leave a comment below, or post a comment on Twitter @NorthpolesantaL, or post a picture on Instagram with the hashtag #northpolesantaletters! Hi Pamela, these look very tasty! Thank you for the compliment. As for the blog, I am so new to this….had a lot of help!!! LOL. Goodluck!